Jews living in Samaria call on MKs to find a new president. Peres is lobbying for the PA when he should be uniting Israel, they accuse. The grassroots Samaria (Shomron) Residents Council is calling on Members of Knesset to support a move to oust President Shimon Peres and replace him with a more moderate president. 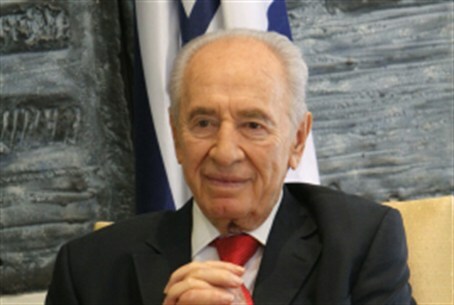 Peres has made several similar statements since becoming president, the Residents Council noted. On the day he was sworn in as president, he gave an interview to AP in which he said Israel must leave “the territories,” referring to Judea and Samaria. In other interviews, he has called for a new Arab state to be established in Judea, Samaria and Gaza under the leadership of the Palestinian Authority. “Shimon Peres was chosen as the president of the Jewish state,” the group wrote in a letter. “But that is not stopping him from serving, at the same time, as the Palestinians’ most effective lobbyist for the establishment of a terrorist state in Judea and Samaria."